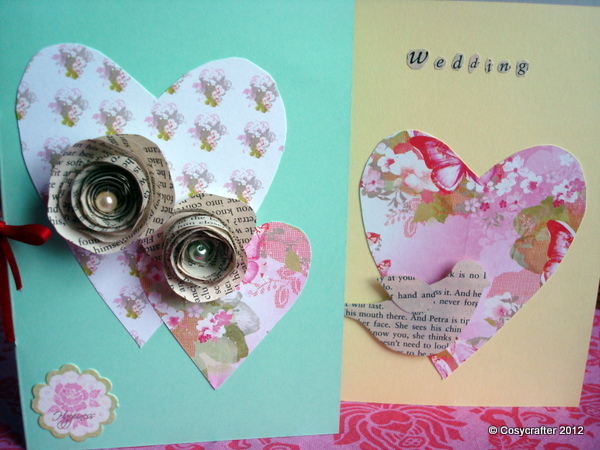 Just a short blog today – here is a wedding acceptance card I made a couple of months ago. I drew two bird shapes (freehand, because I’m lazy like that) on patterned paper, glued them to some cardboard and then stuck them on the card. I then used a needle to pull a ribbon through and tied it in a bow. And er, that was it really! 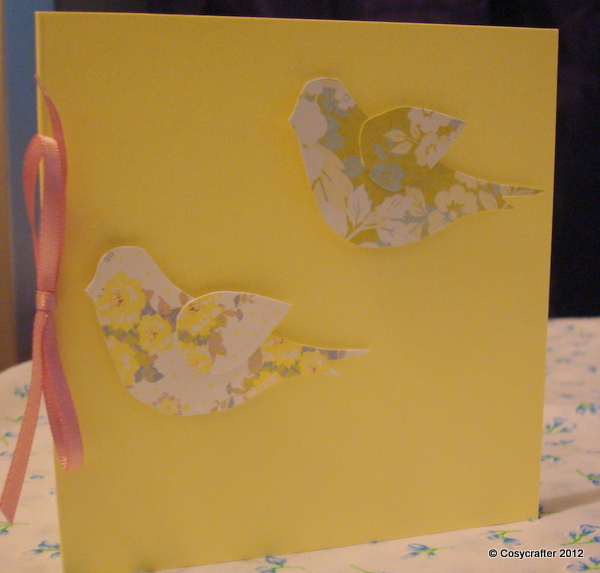 Posted in Cards and tagged birds, card, craft, handmade, paper, ribbons. Bookmark the permalink.